With their "halo" of smaller gems around a larger central stone, halo-style engagement rings offer a great way to make maximum visual impact and plenty of sparkle. There are lots of variations on this style, from artistic options featuring non-standard gems like malachite and lapis lazuli to stunning and classic diamonds. You'll find choices in every color and even some options for men. If you love traditional rings but enjoy the beautiful sparkle of the halo style, a round diamond halo ring might be the ideal choice. A simple channel-set halo of smaller diamonds adds a modern but classic touch to a round diamond. This is a great way to enhance the perceived size of a smaller diamond. Even though diamonds are a classic choice, the halo style of engagement ring lends itself especially well to highlighting the beauty of other gems like stunning sapphires. You also don't have to stick to a round stone. Consider a creative shape like a pear, which looks even more beautiful surrounded by tiny glittering diamonds. Another amazing shape variation is an emerald-cut center gem surrounded by marquis-cut diamonds. The contrast in shape is lovely, and if the center gem is a colored stone like an emerald, it adds even more visual interest. This engagement ring makes a statement and is sure to turn heads. A halo is a great design choice for almost any gem shape, but it looks extra lovely with a heart-shaped center stone. The addition of sparkling diamonds makes the center gem feel even more significant, like a layered valentine. If you're a fan of heart-shaped gems, this is a romantic and timeless choice. Not every halo ring has to feature a halo made of colorless diamonds. In fact, you can choose any gem for the halo, including pink sapphire, fancy colored diamonds, or other precious stones. Experiment with different color combinations to find a look you love. For a romantic and feminine choice, a pink sapphire center gem looks lovely surrounded by tiny pink diamond chips. If you love pink, nothing beats a hot pink sapphire surrounded by colorless diamonds. 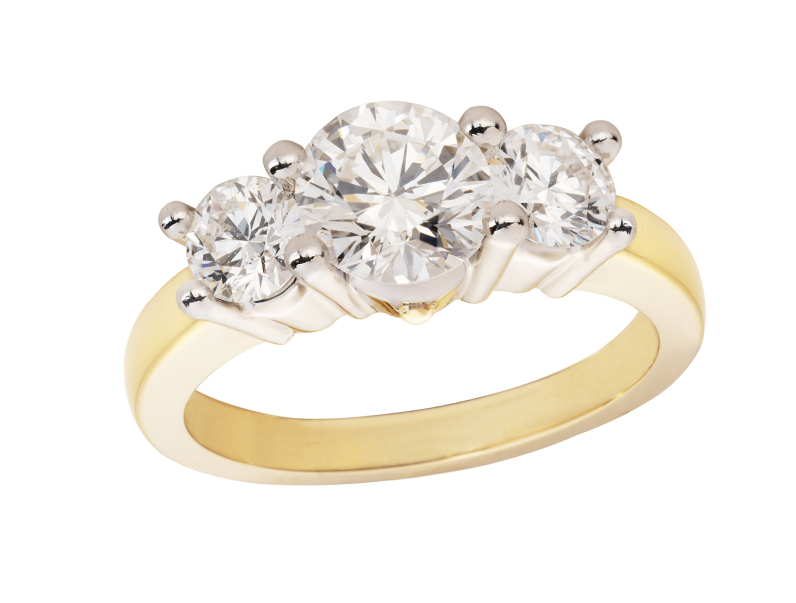 Consider an oval shape, which is a bit less traditional and goes well with the bright hue of the gem. Add more diamonds to the band for additional sparkle. You can do this with any color of gem, but the pink and white combination is a guaranteed head-turner. If you love the halo style but want a more modern version of this classic, try leaving some space between the halo and the center gem. This "floating" halo offers a more geometric appearance and provides even more visual impact than the traditional style. It looks great in colorless diamonds and white gold or platinum. A tiny diamond can be gorgeous and have awesome visual impact when surrounded by a halo of similar-sized stones. For this look, it's important that all the gems be the same color. This gives a cohesive feel and makes the whole arrangement seem very significant. It works really well with round gems, but other shapes can achieve a similar look. Women's rings aren't the only place you see halo styles; many men's engagement rings also feature a wreath of gems. For an especially unique look, choose a bi-colored gem like ametrine and surround it with tiny diamonds. However, depending on his preference, you can also use onyx, lapis lazuli, sapphire, or any other gem. Whether you're interested in options for a man or a woman, there are so many gorgeous halo styles. From traditional diamond engagement rings to unique shapes and colors, there's a halo ring out there that's perfect for your budget and personal style.